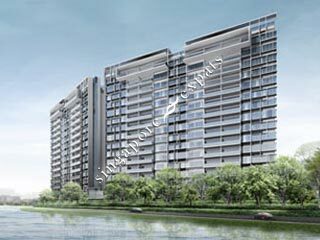 WATERFRONT ISLE is located at 730 - 738 BEDOK RESERVOIR ROAD in district 16 (Bayshore, Bedok, Chai Chee) of Singapore. WATERFRONT ISLE is a 99-year Leasehold Condo development consisting of 561 units. WATERFRONT ISLE is completed / TOP in 2015 (estimated), developed by FCL PEAK PTE LTD.
Educational institutions like NPS INTERNATIONAL SCHOOL, UNITED WORLD COLLEGE OF SOUTH EAST ASIA (EAST), GLOBAL INDIAN INTERNATIONAL SCHOOL (EAST COAST), YU NENG PRIMARY SCHOOL, DAMAI PRIMARY SCHOOL and BEDOK WEST PRIMARY SCHOOL are near to WATERFRONT ISLE. WATERFRONT ISLE is accessible via nearby BEDOK RESERVOIR, BEDOK NORTH and TAMPINES WEST MRT Stations. Nice new condo with best facilities, next to the park, not far from MTR station, also good options to get to the centre.